Your Parish Council is hosting the Annual Meeting of the Parish and we invite all residents to join us. 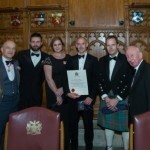 The Annual Meeting of the Parish is a meeting required by law and is called by the Chairman of the Parish Council before the end of May in each year. It is an opportunity for members of the parish to get together and discuss issues of interest and concern with a view to developing an action plan. Please see below the proposed routes for the Great British Spring Clean Litter Pick on Saturday 24th March. Hi-Viz as above we have a limited number so if you have anything please wear. As this is a nationally organised event it if key that we litter pick together and bring all bags to one collection point, this is for the purposes of counting etc. Many people are offering to litter pick small areas nearby their properties – again as this is an organised event it is very important that we all meet together at the village hall at 09:30 for a safety briefing. Zones will be allocated to people – ideally by preference for everyone. If you wish to meet at village hall and then drive to a suitable and safe location near to the litter pick zone please do so. 09:15 – 09:30 – meet @ Village Hall – all participants must attend the safety briefing and equipment collection. Once your zone is complete, drop rubbish bags off and equipment off at St Barnabas Church Hall (in allocated area) and TEXT Rachael stating Zone number is complete. In October 2015, ‘Rescue 912’ (R912) was tasked by the ARCC Kinloss to proceed to the Lake District to rendezvous with Langdale and Ambleside Mountain Coastguard Humberside Rescue Teams at Ambleside MRT base. ARCC reported that a 24 year-old female hill walker had fallen down a 40m rock face located on Langdale Fell and required immediate extraction and transfer to hospital. R912 proceeded to Morecombe Bay, where a descent to low altitude was conducted. Due to very low cloud and poor visibility, two unsuccessful attempts were made to enter the hills to the south of the Lake District region. R912 was forced to proceed to Blackpool in order to refuel. A third transit attempt was made via Greenodd Sands and Backbarrow, flying at less than 200 ft in only marginal visibility. Two hours forty minutes after departure, R912 eventually landed safely at Ambleside MRT base. The crew were promptly informed by the MRT that the casualty had suffered a severe head and spinal injury, a fracture of her right femur and an open fracture below the left knee. The on-scene weather conditions were reported as only 50m visibility, calm winds and fading light levels. 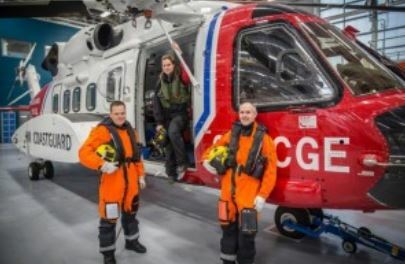 Given the life-threatening nature of the casualty’s injuries and the likelihood that she would not survive a protracted stretchered walk off the mountain side, the crew courageously elected to proceed with her rescue. Via Skelwith Bridge and Elterwater, R912 progressed at low speed and very low level towards Langdale Fell, where the aircraft entered cloud and proceeded to hover-taxi up the mountainside, following a small pathway, to the casualty’s location. R912 arrived on-scene at 16:30. In fading light, the crew successfully accomplished a very challenging stretcher recovery from under an overhang in a confined area with the aircraft rotor tips only metres from the surrounding crags. This demanded exacting flying skill and crew cooperation of the highest order. 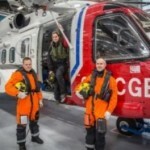 The operation had the added dimension of having been filmed for the BBC series ‘Skies Above Britain’ and the fact that the winchman, despite having an extensive background in helicopter operations as a crewman, was at the time relatively new to Search and Rescue operations. 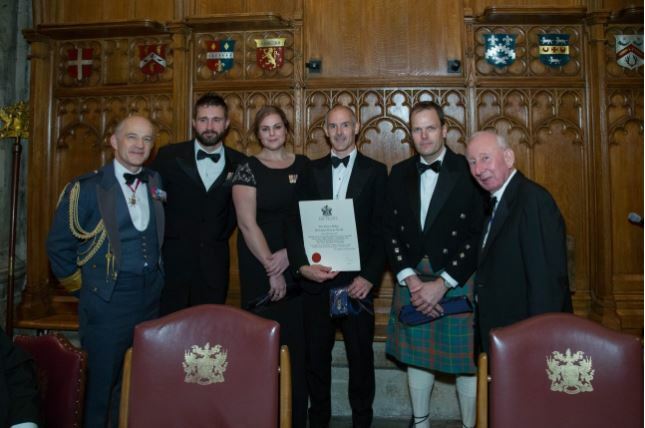 Throughout the rescue, the crew demonstrated the highest levels of professionalism, commitment and dedication to the task and bravery that exceeds expectation and is deserving of recognition by the award of the Prince Philip Helicopter Rescue Award. After reports of vandalism to the equipment in the sports area behind the Village Hall, the chair of the Parish council discovered 30 airsoft pellets in and around the court and gym area. Airsoft guns shot 6mm plastic pellets at around 350ft/min. The airsoft weapon he suspects was used to shot and break the information boards on the newly installed outdoor gym equipment. PLEASE SEE THE FOLLOWING DOCUMENTS IN REALTION TO THIS CRIMINAL OFFENCE. THE PARISH COUNCIL WISH TO ADVISE THAT WE SHALL BE CONTACTING THE POLICE IN REALTION TO THIS INCIDENT.